The 60s! It was such a controversial and defining decade that it sparked change like no other. There was Martin, Malcolm, Bobby, John, a palpable racial divide, the Motown sound, the space race, the Black Panthers, and more. 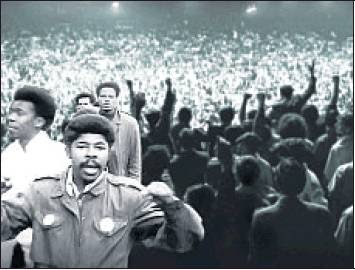 During that same turbulent time there was also a call-to-arms by students on several of the nation’s college campuses. They wanted to challenge traditions and change the status quo. They wanted reform. They had dreams of a new America. They wanted out of the Vietnam war. They wanted inclusion. They wanted a black studies curriculum and desegregation. Most of all, they wanted free speech and they wanted their voices to be heard. One of those students was a freshman named Frank Dawson, who attended one of those higher learning institutions, namely Cornell University, a school that, in April 1969, would play a pivotal role in turning the movement on its head. 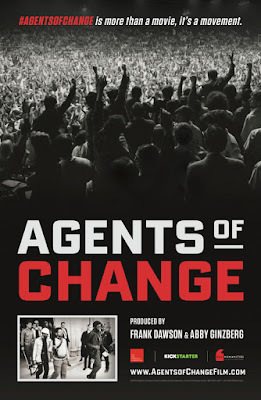 All of it is chronicled in Agents of Change, a documentary co-produced and directed by Dawson, a former network television executive and current associate dean at Santa Monica College, and his friend and colleague and noted Peabody® Award-Winning Director Abby Ginzberg. Both Dawson and Ginzberg are graduates of Cornell University and were present when the events depicted in the film took place. Some of the people featured in the documentary include actor Danny Glover, Harry Edwards, Ed Whitfield Ramona Tascoe, Jimmy Garrett, Jerry Vanardo, Irene Smalls, Eric Evans, Benny Stewart, Juanita Tamayo Lott and Roger Alvarado. The documentary about the Black student-led protest movement on college campuses in the late 1960s and its connection to the Black Lives Matter movement, will have its world premiere February 11, as the centerpiece feature at the 23rd Annual Pan African Film Festival. Agents of Change tells the stories of the well-publicized events at San Francisco State in 1968 and about the young men and women who were part of the struggle. It examines the untold story of the racial conditions on college campuses and in the country that led to the protests. In addition, it takes an inside look at how and why black students took over the student union at Cornell University in an effort to get a more relevant and meaningful education, including demands for black and ethnic studies programs. As the movement grew – so did tensions and soon some of the students had armed themselves with guns. It got real – real fast! I recently caught up with Frank Dawson (FD) to talk about Agents of Change and what the movement meant to him. DD: How long have you been working on this documentary? FD: This April will be seven years. It began April of 2009. So, it’s just under seven years. The date we started was actually the 40th anniversary of the events at Cornell. DD: Why did it take so long? FD: Funding is the major reason. Also, locating people wasn’t easy. DD: You and your co-producer/co-director Abby Ginzberg both went to Cornell. Talk about the partnership. FD: We didn’t know each other in college. Abby was with the white radical students for a democratic society. David Burak at Santa Monica College knew I wanted to do this project. Abby also wanted to do this project. He invited her to Santa Monica College with one of her films and she screened it. He invited me to the screening. He said we needed to meet. We met and we talked and agreed to do the project. Several months before April 2009 is when it happened. DD: So you and Ginzberg were equal partners? FD: It’s important that Abby Ginzberg (Soul of Justice: Thelton Henderson's American Journey, A Tale of Two Cities and Doing Justice: The Life and Trials of Arthur Kinoy) and I get to tell the story as partners, as co-producers of this project. She was a member of a radical white organization. They were our eyes and ears when we were in the building. We still have different perspectives on some things. We see things differently and that’s OK. We were always able to compromise. DD: So how did you get started? FD: The first four interviews happened in April 2009. Along the way our intention was to do a story on Cornell. I had never done a documentary before. I had worked in entertainment. Trying to find funds was new to me. It’s a tough way to go. DD: Talk about why you used San Francisco State. FD: San Francisco State had the longest student strike in history. It happened a bit earlier in 1968. We looked at that and it was a great story and had a great parallel. We had a public college on the west coast (San Francisco State) and a private Ivy League school on the east coast (Cornell University). DD: The documentary has a lot going for it. You have great footage, interesting interviews from people who were there and fantastic music. FD: Archival material is what drives this project. We also have 12 classic songs. We have music by James Brown, Jimi Hendrix, Marvin Gaye and Curtis Mayfield. Patrice Rushen did the score. The music defined the era and is important to the film. There was a ton of archival material at San Francisco State. It made it alive and vibrant. DD: Why this documentary now? Why do we need to know this story? FD: It’s a story that has not been told. It occurred at the intersection of civil rights and the Black power movement. Students who came out of that era and took what was happening in our communities to these campuses. The colleges and universities only opened their doors to a trickle of black students. This was happening on 1,000 campuses across the country. It was fueled by the Black power movement. DD: What were they concerned about initially? FD: The lack of education and the prohibiting opportunities. Institutions weren’t interested in hearing it in the 1960s. DD: To you, personally, was this the right way for the Black students at Cornell to go about getting a black studies program? FD: I would say it was the right way to go about it at the time. I would caution students today not to pick up arms. You have to recognize this is a different time and things are different. We grew up with the assassination of Black Panthers, the killing of students in South Carolina, Martin (Luther King Jr.) Malcolm (X) and Bobby (Robert Kennedy). Put it in perspective – that pales in comparison. DD: Lets talk about what it was like for you at Cornell. Talk about the atmosphere on the campus. How did Cornell shape you as a person? FD: When I got to Cornell, I was used to being in school with white students. When I was 15 I helped integrate a white boarding school. For three years I lived there with white boys who came from affluent homes. I was prepared for Cornell. I can hang on the block and the boulevard. I was not a militant when I got to Cornell, not at all. My sister was. She was involved in demonstrations. The FBI came and looked for her at my house. She helped raise my consciousness. I didn’t think I was going to take over a building. DD: What did you get or learn from that experience? FD: From that experience I found a career in the media and communications. The building we took over housed the radio station. Shortly after we took it over, the transmitter was cut off. We didn’t have a voice. Between that and the guns being introduced, I had to let my mother know I was ok. The telephone was still working, so I called her. She was crying. She heard a report from the news and believed everything she heard. I was a government major and got on student radio station. I remember thinking, “if this thing is so powerful that she would believe a stranger over me, I need to look into it.” You want to talk about an impact! I thought I was going to change TV. I eventually worked at CBS. I became active with the Black employees. It came from my earlier involvement. DD: You say you weren’t a leader in the movement. How involved were you in the movement? FD: We were freshman. It was my freshman year. I call myself part of the infantry. We were raw and brash. We were down for whatever needed to be done. DD: I guess so because guns were soon part of the mix. FD: We only armed ourselves after being threatened by a white fraternity. DD: Talk about the atmosphere on campus after everything was said and done. FD: You never get everything you wanted. The film deals with the aftermath. Ten thousand students came together to have a teach-in. Classes were suspended. They wanted to know what happened. They wanted to try to understand what the issues were. There were some people who consider this the darkest moment in Cornell’s history. The president lost his job. There were demonstrations that continued – every year after that. Change doesn’t happen overnight. You have to continue to push. DD: I guess it became a teachable moment. FD: We have failed the current generation. Not enough of a bridge was built in terms of supporting the communities we came from. They continued to deteriorate. You have to be diligent. Everything happening today is happening while we have a black president. There is no equity yet. DD: We can’t talk about movement today without mentioning Black Lives Matter. FD: In connection with Black Lives Matter – it’s the same thing happening. College students are coming out of their communities and nothing has changed. In fact, the problems have widened. The same things and issues that we faced in the 60s are being faced today. Students are questioning what’s happening. DD: This kind of film has legs. FD: The film is resonating so much. We have requests from a lot of campuses. The interest is tremendous. It is relevant. It begins in the communities. Young people are getting involved. Our film addresses how Black students lead a movement to change higher education and make it more inclusive and relevant. That’s why it resonates so well. Education is the key for a sustainable amount of equity. DD: This film would have been timely whenever it came out – which says a lot. FD: I thought we missed it last year when everyone was occupying last year. Occupy Wall Street – that was the beginning. That’s when there was more attention to activism. Unless and until people make a push and define the needs for change and are willing to take risks for the change to come about – things will remain the same. DD: What are you hoping happens after people view this documentary? FD: First of all, we found the discussion that ensues is tremendously important. We’re addressing difficult questions. It allows others to get involved and come together. That’s how change happens. DD: You were there in 1969 when the protests went down. FD: When my class came in we doubled the number of the black student population. I was a freshman in 1968. It was 250. It gave us enough bodies that we could make a difference. Our class came from all over America. I came out of Harlem. Others came from the south, Los Angeles, Chicago and Detroit. It was a different kind of student than Cornell was used to. DD: Agents of Change is the centerpiece feature at the Pan African Film Festival. How important is that? FD: Being a centerpiece film means that the people who reviewed our rough cut thought it was important. We are honored by that. It’s a great opportunity. That means a lot to us. Friday we will partner with Black Lives Matter. We are also partnering with Sandra Evers Manly’s BHERC (Black Hollywood Education & Resource Center). She came on as an executive producer. Our film is now under her banner – Films With A Purpose. They are the sponsor of Thursday night’s centerpiece. DD: Is it more important for white people to see this documentary or black people and why? FD: I can’t say it’s more important for either. It’s more important for all. My concern is always for my people. My hope is that the film will inspire, especially for those who have forgotten. It’s an important reminder for white folks, as well as others. DD: What can you say when you have someone like Patrice Rushen scoring your documentary? FD: The music is so important. I sent Patrice a copy of the rough cut. She believed in and supports the project. She scored our film, which ups it several notches. Her understanding of the score of the movie is pivotal. She brought her musical talents to contribute to the whole of the film. She gave her all. She created the original score of this movie. It helps with the emotion. She wrote that music in three weeks. She wrote it, delivered it and assembled it. She worked with a tremendous group of musicians. DD: Are you encouraged or discouraged about the progression or non-progression of civil rights? FD: I’m forever optimistic and encouraged. We must be diligent. We must continue to raise our voices. DD: Charlayne Hunter Gault’s quote talks about people’s memories fading regarding the struggle. Do you think people’s memories are fading regarding the struggle? FD: They are. We need these reminders. It seems a long time ago. It’s not. I lived through that era. DD: What do you see as your responsibility in telling this story? FD: My responsibility personally has always been to honor my mother. Anything that is good about me is because of my mother. DD: It’s 2016 and we’re still talking about change. From your perspective, has there been any? FD: Clearly. The fact that I’m an African American dean at Santa Monica College. We have a black president. You can look around and see the accomplishments. On the percentage basis it’s not close, but look at individual accomplishments. There is a lot to be proud of but it’s not enough. DD: How long do you fight? FD: It’s going to take a while before we achieve equity and parity. It’s not just racial equality, it’s about economic equity. You fight for as long as it takes. Agents of Change will premiere at the Pan African Film Festival (PAFF) Thursday, Feb. 11, 7 p.m.; Rave Cinemas, Baldwin Hills Crenshaw, 4020 Marlton Avenue, Los Angeles, CA 90008. Co-Producers/Directors Frank Dawson and Abby Ginzberg will be present for the post-screening discussion on both nights and will be joined by members of the cast, along with special guests! Agents of Change is presented by Films with A Purpose. 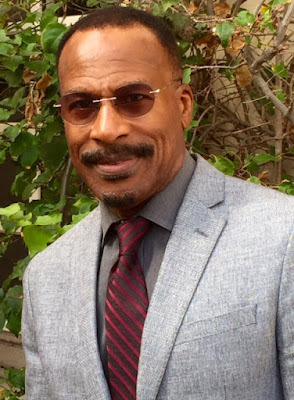 The film is co-produced and co-directed by Frank Dawson and Abby Ginzberg with a musical score by award-winning composer Patrice Rushen.